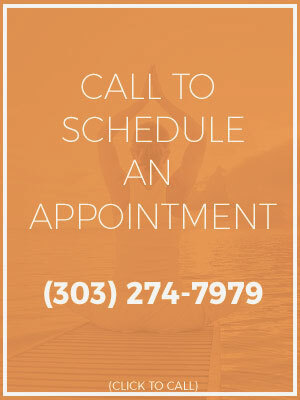 The Infinite Wellness Denver Acupuncture Clinic has provided the following information to help you decide if acupuncture is right for you. If you are already benefiting from acupuncture, it can help you communicate to others about how acupuncture can help them. This information will help you understand more about why and when you should consider going to an acupuncturist. The World Health Organization of the U.N. identifies over 40 conditions acupuncture successfully treats. We have listed them for you. Studies are released every month in professional journals from all over the world describing new uses. Acupuncture is used in a wide range of illnesses in many areas outside the Orient including many countries in Europe, Israel, Australia, etc. It is used extensively in Russia where it is called “reflexotherapy.” It is effective with all body types. What if I am Healthy? Can Acupuncture Help Prevent Future Problems or Enhance Health? Yes. Acupuncture has traditionally been used as a preventive medicine. Recent research has now verified that acupuncture stimulates immune function which increases your resistance to bacterial and viral infections. Acupuncture can dramatically increase overall vitality and energy. It treats underlying causes, a deeper kind of healing. It effects profound changes in peoples’ lives on the emotional level as well, Many people find that an occasional acupuncture tune-up is the best medicine to feel “in sync” and insure continuing health. Yes. Because acupuncture treatment is drug-free, you avoid the risk of drugs which can cause many side-effects or dependency. During each acupuncture session your acupuncturist can adjust the treatment according to your symptoms so that you receive constant monitoring of any changes. Always inform any health practitioner about all preexisting conditions, known problems and the names of all medications you are taking, whether you are or could be pregnant and if you have a cardiac pacemaker. Your acupuncturist will be able to evaluate your specific situation with this information to insure best results. Acupuncturists receive extensive training and are licensed or certified by strict state or foreign country regulatory boards. Many highly trained acupuncturists work closely with medical doctors in their local community who regularly find that the combination of treatments is very effective and beneficial for the patient. Is Acupuncture Recommended for Emergencies or Acute Medical Problems? It is strongly recommended that you first seek immediate medical attention at a nearby hospital for such conditions as difficulty in breathing or shortness of breath; dizziness, fainting or feeling faint; pain or pressure in the chest or upper abdomen, sudden weakness or severe pain; sudden bleeding; injuries, falls, suicide attempts, and when surgery, tests, x-rays and life support equipment may be needed. Acupuncture first aid can be given in certain instances, dependent on the circumstances. Are There Any Conditions That Acupuncture is not Recommended? Yes. Acupuncture is not generally recommended for the primary treatment of severe infection, cancer, and heart failure. However, acupuncture has been found useful in studies outside the U.S. for easing the effects of chemotherapy and of pain in advanced cancer patients. Who Should I See First, and MD or an Acupuncturist? This is up to you. See if your condition falls within the general guidelines mentioned in the list below. You may want to talk with the acupuncturist on the phone before scheduling an appointment. Get a feel for the practitioner’s approach to care and understanding of acupuncture. You should be given some direction as how best to proceed. An acupuncturist can also tell you if a referral is required. Can Acupuncture Improve Athletic Performance or Treat Sports Injuries? Absolutely! Acupuncture can speed healing and eliminate the discomfort of many sports injuries. Can I Continue Taking My Regular Medication While Receiving Acupuncture? Yes. Acupuncture treatment may be used along with other medical care to great advantage. It has also been used for pain control after other medical or dental procedures, for improving healing, and to lessen the side-effects of some drugs. Can Acupuncture be Used with Infants or Children? Yes. Needless treatment is primarily used for young children. Studies have shown that it is useful for treating jaundice in newborns. Infants and babies can also be successfully treated for colic, earache, cerebral palsy, myopia, and bed-wetting. Many parents have found that by introducing their children to acupuncture, many childhood diseases are avoided. In the Orient, parents are encouraged to have their children treated every month as a preventive measure. Yes. Acupuncture is for people of all ages, but the elderly can often experience great benefits from enhanced circulation. It can assist with insomnia. It can increase mental clarity and regulate blood pressure. In the Orient it is recommended for stroke patients as soon as possible after their diagnosis and is helpful in eliminating or decreasing related paralysis. Yes. Each system of medicine has its own areas in which it has its greatest effectiveness; Acupuncture’s advantage is its diagnostic and treatment system with a broad and deep understanding of our energetic nature and the impact of energy in healing. It is not limited by western medicine’s assumption that disease is based in biochemistry. Acupuncture is powerful medicine which works, despite belief or unknown factors. Most people are surprised and relieved to learn that acupuncture needles are very thin – not like hypodermic needles which are big and hollow. Acupuncturists can attain a high level of skill in gently placing these tiny needles and often the insertion is barely perceptible. And there is more good news. The needles are usually inserted only several millimeters in depth – again, very unlike hypodermic injections. The acupuncturist will help you to relax and receive the most value from treatment. After the needle is inserted you may feel nothing or sometimes a vague numbness, “heaviness” or slight tingling. The treatment is effective whether this is sensed or not. After treatment, many experience a euphoric feeling – and often profound peace. How Will an Acupuncturist’s Treatment Be Different than Other Therapy? The acupuncturist’s approach is to treat “the person first,” not just the symptoms. The disease is treated as the result. Many acupuncturists listen to you extensively regarding your history and life patterns during the initial examination; others may move directly into a physical examination. Acupuncturists are particularly trained to observe very subtle signs and symptoms which are thought of as insignificant or often overlooked by Western medical practitioners. An acupuncturist uses the oriental diagnostic system which takes into account many factors to determine the correct points or gateways along the vital energy pathways of the body, called meridians. These points are treated and used to regulate the vital energy in the body – thereby quickening healing, enhancing health and the feeling of well-being. The acupuncturist will talk with you about the types of therapies she/he can use to treat you. This may include acupuncture, acupressure, herbal medicines, moxibustion, nutrition, exercises, etc. She/he may recommend further treatment based on the type, severity and duration of the condition, and your physical state at the time of treatment. For best therapeutic results, she/he will talk with you about home care recommendations so you can optimize your progress and total health. Always. Most acupuncturists have now converted to the exclusive use of sterilized, disposable needles. These needles are discarded after each use, insuring absolute safety. What if my Regular Doctor isn’t familiar with the benefits of acupuncture? With your written permission we can speak and work with him personally; or by your choice we can recommend a doctor who can provide a referral for acupuncture if this is needed. 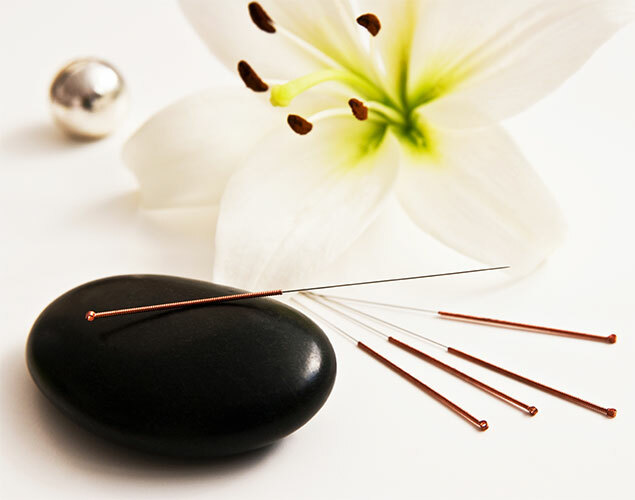 Acupuncture and oriental medicine have stood the test of time for well over 2000 years. The far-reaching impact of this ancient cost effective medical system for healing, wellness, and transformation could well herald the medicine of the future. So we encourage you to proceed with confidence to new possibilities for health and well-being. We welcome you to acupuncture!